It may be easier to patch up an old home than a broken heart. But along the Louisiana bayou, where beauty and danger mingle all too seamlessly, thoughts of romance may have to simmer on the back burner . . .
Twin sisters and fellow divorcees Sunny Taylor and Eve Vaughn have established their home repair and remodeling business with an eye toward quality and personal attention. 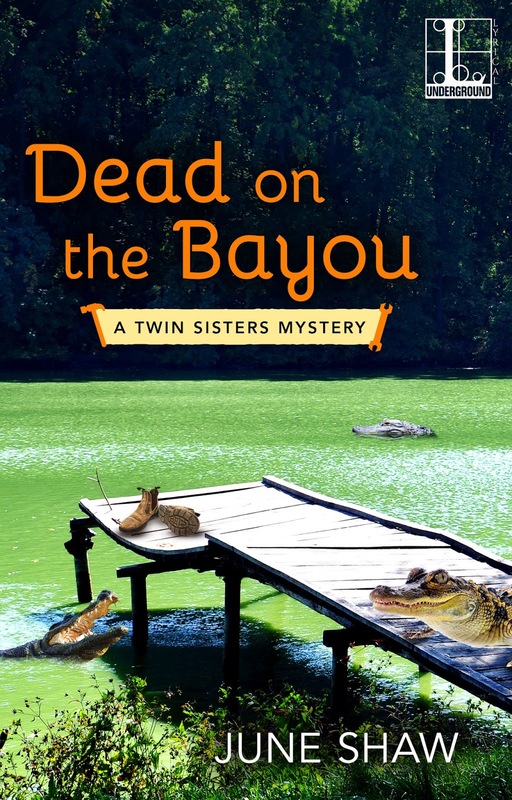 So when they’re approached by hunky Dave Price to fix up his bayou fishing camp, they’re more than happy to take the job—especially since they both secretly think he may prove to be more than just another satisfied customer . . . The ramshackle campsite could certainly use a woman’s touch. What it does not need is a dead body—but that’s what the trio stumble across. Clearly, the poor soul was murdered—and once the town tongue-waggers get going, Sunny, Eve, and Dave come under suspicion of the police, not to mention potential clients . . .
Now, with their futures on the line, their brewing love triangle will have to wait. Helped—and harried—by the twins’ mother and her retirement home’s cadre of amateur sleuths, the trio starts snooping on their own. But when another dead body turns up, they’ll have to get their hands dirtier than a swamp-bottom snake if they hope to clear their names . 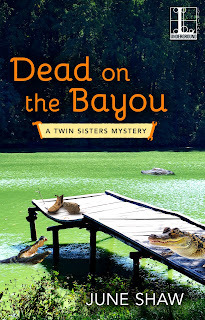 . .
June Shaw lives along a lazy bayou in south Louisiana. She became a young widow with five children, completed a college degree, and started teaching junior high students. Then her deferred dream of becoming a writer took hold. Between grading papers and being involved in her growing children’s activities, she sold stories and learned to write plays. She won a playwriting contest in Boston, and two of her short plays were produced Off-Off Broadway. A short screenplay she wrote aired on a channel for the arts in New Orleans. She eventually worked on novels, became a grandmother, and then sold RELATIVE DANGER, which received excellent reviews. Deadly Ink nominated it for their new David award for Best Mystery of the Year. Harlequin reprinted it, and Books in Motion bought audio rights. KILLER COUSINS was June’s second book in the series that features Cealie Gunther, a spunky young grandma with attitude, and her hunky sometimes-ex lover that she tries to avoid so she can rediscover herself. But he opens Cajun restaurants in all the places she travels, and she is so bad at avoiding tempting dishes and men. DEADLY REUNION, the third book in her series, takes you aboard a cruise ship in Alaska for a class reunion you won’t want to miss! 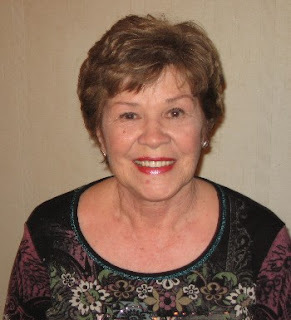 June has represented Louisiana on the board of Mystery Writers of America's southwest chapter for many years. She has also served a number of terms as the Published Author Liason for the southern Louisiana chapter of Romance Writers of America. When June is not writing, she enjoys reading, swimming, fishing, dancing, traveling, meeting new people, and being with her friends and large family.